WILSONVILLE, Ore.--(BUSINESS WIRE)--FLIR Systems, Inc. (NASDAQ: FLIR) today announced three Neutrino™ midwave infrared (MWIR) camera cores: the small, lightweight FLIR Neutrino LC and two FLIR Neutrino Performance series cores, the SX12 and QX. 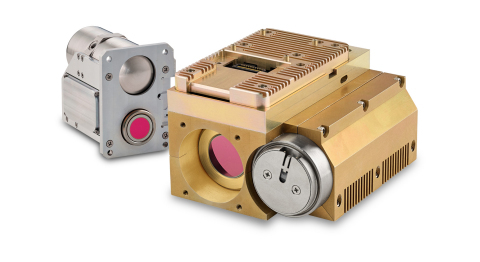 The latest models expand the FLIR Neutrino cooled camera core family for commercial, industrial, and defense original equipment manufacturers (OEM) and system integrators. The Neutrino LC is FLIR’s first High Operating Temperature (HOT) MWIR camera core and the first model in the SWaP+C (Size, Weight, Power, and Cost) series. As the smallest, lightest weight, and lowest power consuming Neutrino model available, the LC can be integrated with smaller drones and allow drone operators to fly longer. With HOT technology, Neutrino starts imaging two times faster than previous models, allowing optical gas imaging professionals to detect gases faster. Additionally, the Neutrino’s longer operational lifetime allows installation in security applications where maintenance access is restricted, difficult, or costly. The two new Neutrino Performance series products, the Neutrino SX12 and the Neutrino QX, offer the highest-resolution MWIR performance from FLIR. The Neutrino SX12 produces high-definition (HD) thermal imaging video, while Neutrino QX, with more than 3.1 megapixels, is FLIR’s highest resolution MWIR core. Both Neutrino Performance models provide crisp imagery at long distances while maintaining a wide field of view and are ideal for ground-based or airborne intelligence, surveillance, reconnaissance (ISR), and counter-drone solutions. The Neutrino SX12, QX, and LC are dual-use camera cores for commercial, industrial, and defense products and are classified under the U.S. Department of Commerce Export Administration Regulations as Export Control Classification Number 6A003.b.4.a. All new Neutrino models are available to order today. For more information about the Neutrino series, visit www.flir.com/neutrino.